On November 14, when the Carolina Panthers were gearing up to beat Tennessee in Nashville, 25 Panthers’ fans and their guests were sneaking a peek around the Panthers’ house at Bank of America Stadium. No worries however: these folks earned the right as winners of Allen Tate’s Prowl the Den contest. The 25 lucky winners and their three guests each were treated to an exclusive, behind-the-scenes tour that included visits to the locker room, weight room, PantherVision studio, Gridiron Club, press room and kitchen, in addition to a tailgate party and a chance to run onto the field while being cheered on by the Top Cats and Sir Purr. 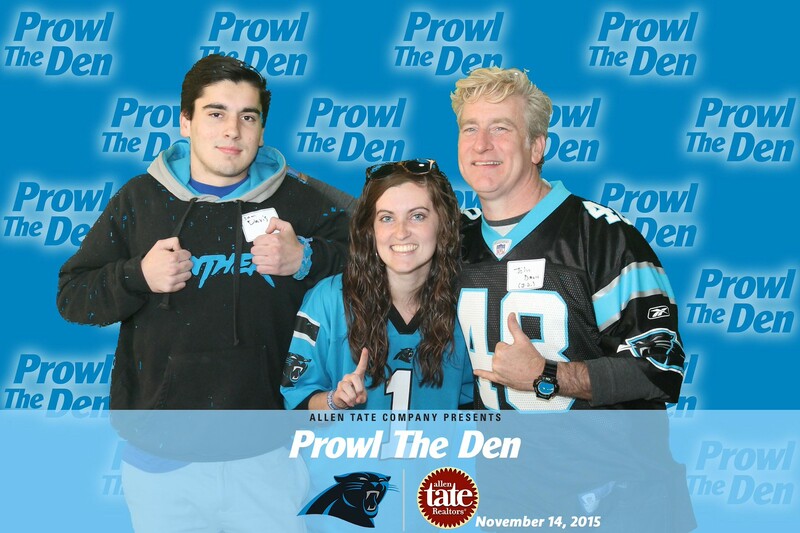 The Prowl the Den contest was the latest in a series of Allen Tate promotions to celebrate the company’s 9-year partnership with the Carolina Panthers. This was the third year that Allen Tate sponsored the event, which received more than 15,000 entries. 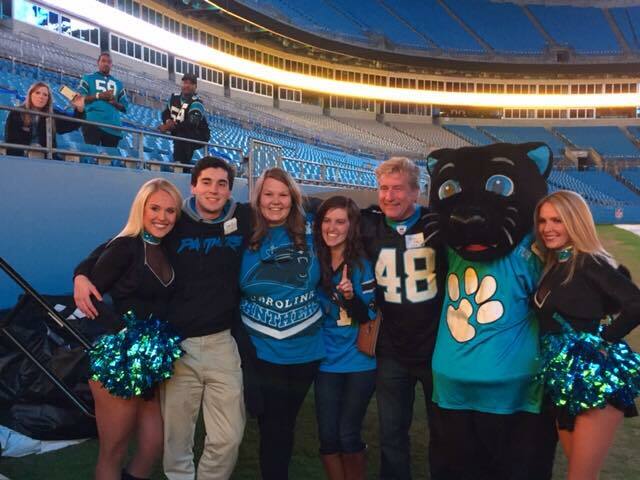 Laura Davis, a second-grade teacher and Panthers fan from Chapel Hill, N.C., was selected as the Grand Prize winner – receiving four suite tickets and four field passes for the January 3, 2016 home game vs. Tampa and four replica Carolina Panthers jerseys. “When I heard my name called, I was completely stunned. I’ve been a Panthers fan since 1995 and watching the games with my family has always been a tradition. It’s a big part of who I am,” said Davis. “Winning this grand prize is something I’ve dreamed of my whole life, and it meant the world that Allen Tate could make this dream come true. Davis, who attended the Prowl the Den tour with her father John, brother Sam and college friend Sarah Hoehn, said she will invite three friends (who are fellow Tar Heels and Panthers fans) to the Tampa game. Dawn Herndon, Oak Ridge, N.C.
Rita Hood, Brown Summit, N.C.
Meghan Hu, Fort Mill, S.C.
Mark Stilling, Fort Mill, S.C.